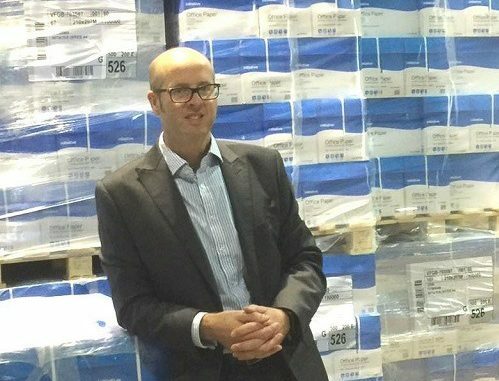 Following Integra’s recent £20,000 prize giveaway, Antalis was delighted to present The COS Group with 10 pallets of Initiative paper. To celebrate its milestone 20 Year anniversary, Integra gave members the opportunity of winning a range of 20 fantastic prizes worth over £20,000. Antalis and Stora Enso generously supported Integra’s celebrations by contributing 10 pallets of Initiative paper as just one of the prizes.